Puerto Ricans boycotted an election over the idea of statehood versus independence or remaining a US territory. 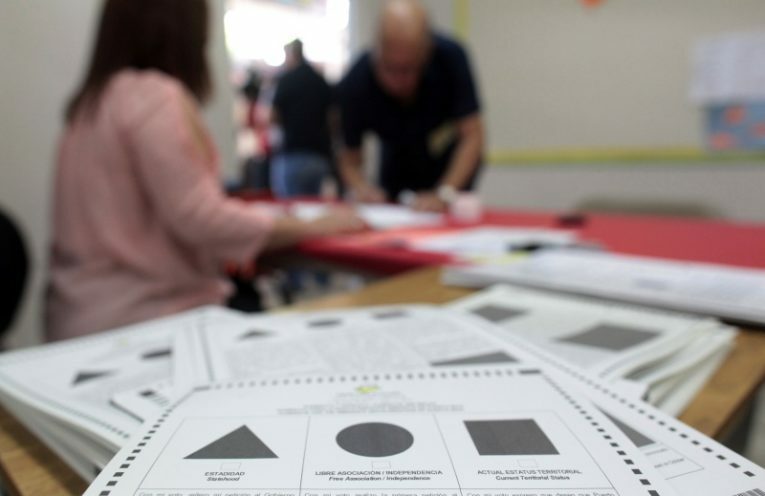 On today’s show we’ll speak with activist and academic Rosa Clemente, one of our news correspondents, to try to understand the vote results, and why she and others support full independence from the US. And, we’ll continue our week-long coverage of The People’s Summit in Chicago where we met Dr. Jane O’Meara Sanders, spouse of Sen. Bernie Sanders, who has just founded The Sanders Institute. We’ll also speak with Dante Barry, Executive Director of Million Hoodies for Justice, a human rights group organizing against racism and systemic violence against communities of color.